Dusty archives, the backrooms of record stores, private reel to reel stashes, master tapes - these are the environs of the Dynamic Range experience. Dynamic Range is a label focused on unearthing deep Soul, Funk and Disco jams that continue to resonate with todays dancers and DJ's. Time spent scouring the bowels of the majors and independents has unsurprisingly resulted in numerous gems being added to the DR wants list. High quality, fully licensed reissues are the order of the day, always taken from the correct master source and re-presented to hungry record heads the world over. To repeat, this is a fully legit operation - Avoid the sharks at all costs! Javaroo are perhaps not the most well known of Soul / Funk acts, but this UK outfit dropped on full length LP in 1980 that yielded the monstrous 'Breakin In' that has become a hugely sought after 12" single that is a bonafide killer in the AOR / Modern style. It's no surprise then, that this bullet was penned by none other than Heatwave's head honcho, the late, great Rod Temperton. A true visionary and legendary figure in the music industry, Temperton's skills wouls touch the careers of luminaries such as Michael Jackson, George Benson, Quincy Jones & many more. Not bad for a lad from Cleethorpes! 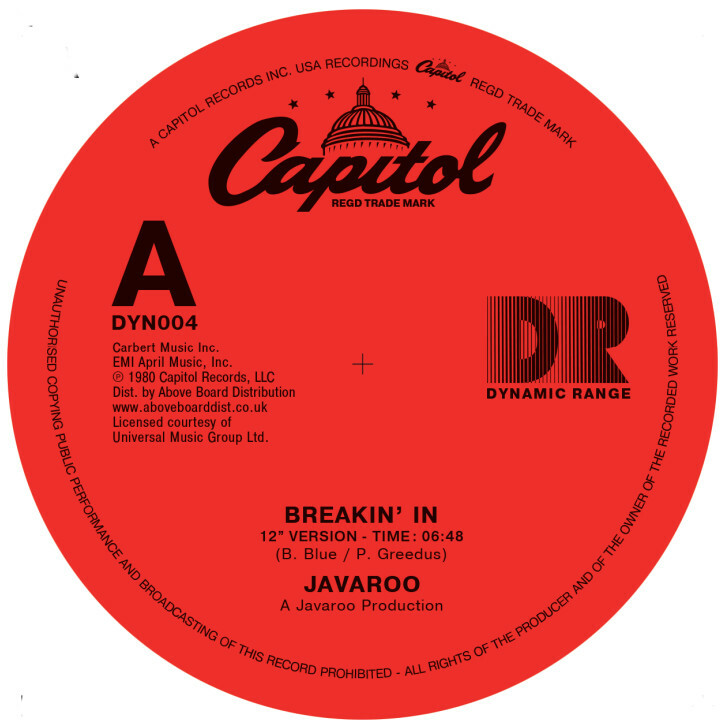 'Breakin In' is one of those records that sends the dance wild, it has had collectors and DJ's clamouring for a copy for many years with the deepest selectors guarding the secret! This is a fully legit repress, complete with Capitol Records OG 12" artwork, featuring the hot as long version 'Breakin In' backed with 'Change It Up' and 'Bring Out The Women' as per the 1980 promo 12" release. Incredible, essential and funky - get some Javaroo into your life! All music selected by the Dynamic Range team / Licensed and reissued by Above Board distribution in conjunction with Universal Music. Remastered with love by Optimum Mastering, Bristol UK. Artwork edit by Atelier Superplus. 2018.